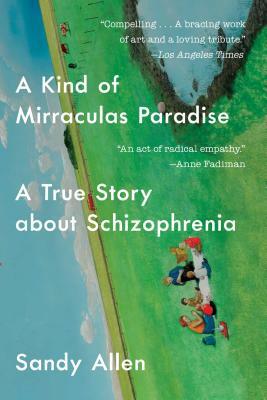 EAST BAY BOOKSELLERS welcomes Sandy Allen to discuss A Kind of Mirraculas Paradise, on Tuesday, February 19th at 7pm. They will joined in conversation by friend of the store Rahawa Haile. Sandy Allen did not know their uncle Bob very well. As a child, Sandy had been told Bob was “crazy,” that he had spent time in mental hospitals while growing up in Berkeley in the 60s and 70s. But Bob had lived a hermetic life in a remote part of California for longer than Sandy had been alive, and what little Sandy knew of him came from rare family reunions or odd, infrequent phone calls. Then in 2009 Bob mailed Sandy his autobiography. Typewritten in all caps, a stream of error-riddled sentences more than sixty, single-spaced pages, the often-incomprehensible manuscript proclaimed to be a “true story” about being “labeled a psychotic paranoid schizophrenic,” and arrived with a plea to help him get his story out to the world. Rahawa Haile is an Eritrean American writer. Her work has appeared in the New York Times Magazine, The Atlantic, The New Yorker, Outside, and Pacific Standard. In Open Country, her forthcoming memoir about through-hiking the Appalachian Trail, explores what it means to move through American and the world as a black woman.